The seaside location of this suite, immersed in the lush green landscape, allows you to take a refreshing dip before breakfast. Then, after an unforgettable day, you can savour a delicious fish-based barbecue on the attractive veranda. The rooms feature 3 large French doors that fill the space with light. 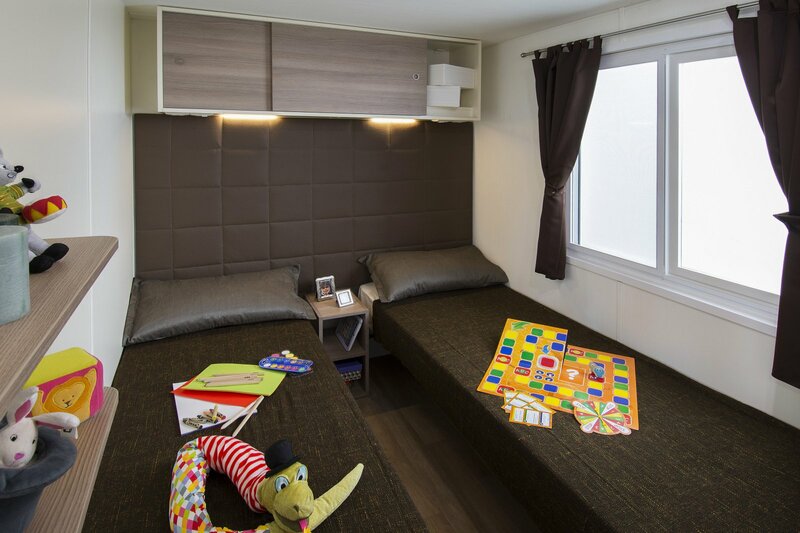 The accommodation comprises two bedrooms – one with a king-size double bed and one with two/three single beds – as well as a large lounge with a sofa bed and a TV. 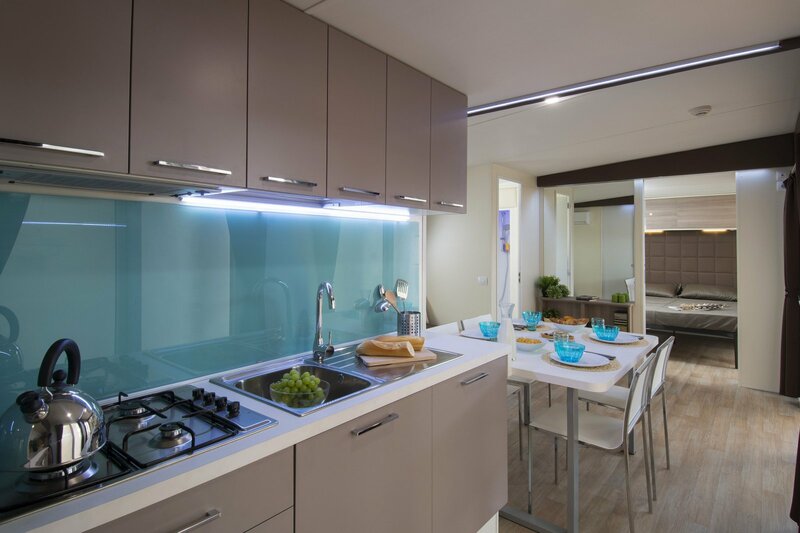 The kitchen comes equipped with all of the necessary utensils and crockery, in addition to a microwave, a dishwasher and a coffee machine. 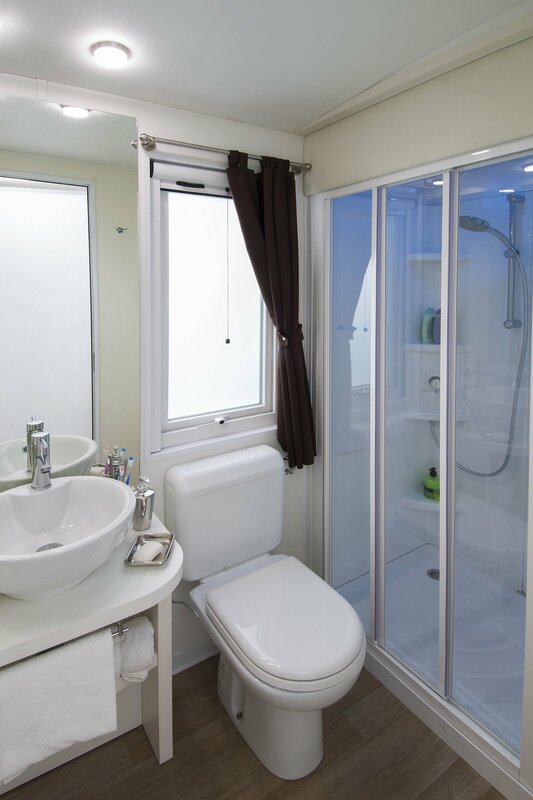 The two bathrooms, both equipped with a hair dryer, feature everything you may require, and also have a shower enclosure with a chromotherapy system that will allow you to relax like never before. To ensure the safety of your belongings, the suite is also fitted with a safe with a digital combination lock. The 20m2+ veranda has a covered section and a section for use as a sun deck. It features a table, chairs and sun loungers, and just beyond it there is a barbecue for al fresco dining. The large internal spaces, the presence of a balustrade and the stairless entrances make this the ideal solution for families with small children who are still using a pushchair. In the morning, you will appreciate the fact the property faces directly out to sea, and there’s nothing to stop you taking a refreshing early morning dip in no time at all. 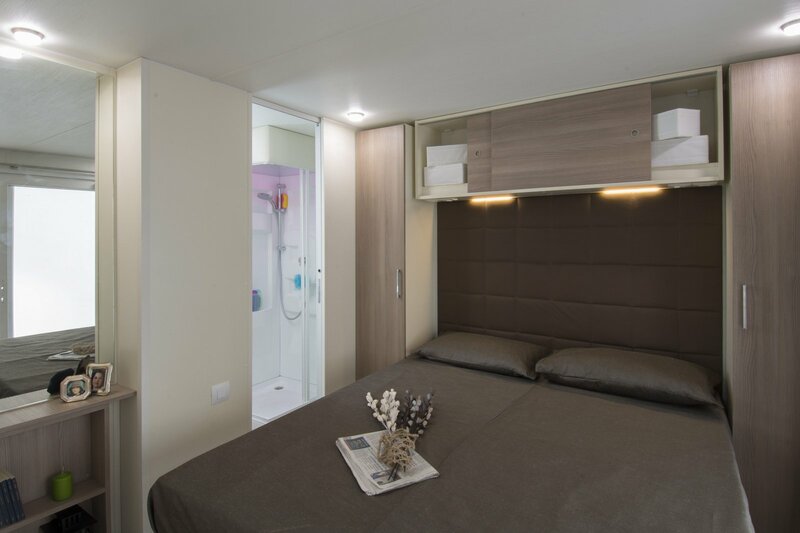 Inside the accommodation, included in the price, you will find pots, pans and crockery, alongside sheets, towels and all the bathroom and bedroom linen you may require. We have thought of everything, so you can just get on with your holiday. In any case, should you need anything more, just get in touch. If you choose the Garden suite, you will have free access to the Wi-Fi connection in the bar and the communal areas, as well as the option to reserve a free parasol and sun loungers for use on our fully equipped beach. 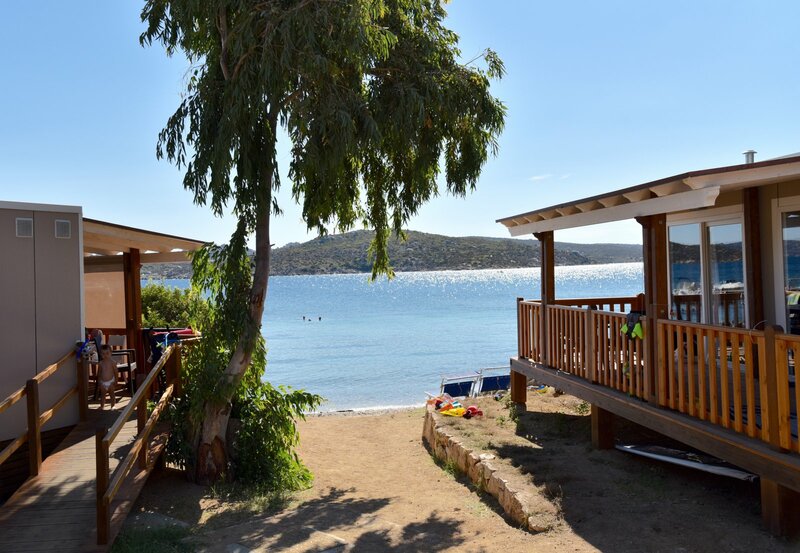 Feel free to use the bar service and the other facilities on those days when you don’t want to head out in search of one of the little coves to be found all round the island.